What Is IPTV and How Can It Help Your Business? 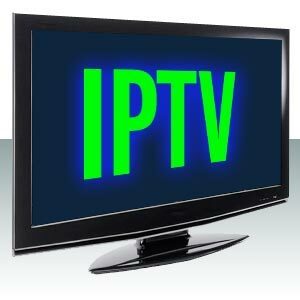 TikiLive Blog » All Blog Posts » IPTV Solutions » What Is IPTV and How Can It Help Your Business? IPTV is short for Internet Protocol and offers video content producers a way to create content to be delivered over the Internet rather than through cable or satellite. IPTV is another type of streaming video, which allows content to be displayed on your viewer’s television as it is played instead of your users having to wait for the entire video to be downloaded before they can begin watching. IPTV content is often stored on remote servers located around the world and is disseminated over the Internet to a viewer’s television when the viewer actually requests the content. We are in an extremely interesting time period when it comes to television. Just a few years ago, cable television was the global leader in video content. In the past, families were hamstrung by expensive cable subscription packages so that they could access their favorite video content. With the popularity of IPTV and the availability of high-speed Internet access to the masses, the number of homes with a cable subscription continues to fall as more and more viewers turn to content providers like Netflix, Hulu and Amazon, among others who offer loads of high-quality content at a fraction of the price. In fact, you could pay for an entire year’s worth of service from some of these IPTV providers for one month’s service from one of the monopoly cable providers. How Can IPTV Help Your Business? While IPTV definitely offers many benefits to individuals looking to lower their cable or satellite bills, it also offers a whole host of benefits to businesses as well. See some of the following ways that companies are using IPTV to improve and even grow their businesses. If your company operates in multiple states or countries, you understand how expensive it can be to train your workforce. With such a large footprint, your company must pay large amounts of money for travel and accommodations whenever new training is required. IPTV can effectively eliminate travel expenses related to training. With your very own IPTV network you can create video content that can be instantly streamed to your employees, regardless of location. This can allow you to reduce the huge expenses that you are currently paying in terms of travel and accommodations. Do you have a dedicated help desk staff that spends a significant amount of time helping your clients? If so, you understand the amount of time that is required to solve complex problems, especially if your clients must interact with your support technicians over the phone as opposed to in person. With IPTV you can essentially provide in-person support and training to your clients through your IPTV network. If you’ve been in business for a significant amount of time, you can likely quickly determine what your clients most often have problems with and create training videos to explain these complex problems. Your clients will enjoy being able to access your video training materials at their own pace and your employees will appreciate not having to repeat the same troubleshooting steps over and over. Branding is increasingly important in the business world. When people typically think of branding they may think of a flashy logo or website, but branding is much more than just your identity online. Your brand represents who you are as a company and is something that takes constant work to build. By creating catchy or edgy videos representing your brand on your IPTV network you can show your current and potential customers who you are as a company. As customers begin to better relate with you as a company they will often spend more because they have developed a level of trust that is priceless in the business world. When you are creating online content for your business always ask yourself if the content that you are creating aligns with the brand that you are trying to build. Charge for streaming content: Using an IPTV provider like TikiLIVE allows you to charge your users to access any premium content you create whether you stream it live or offer it pay per view. Pay per view content: Your ability to earn money on your content shouldn’t end because your live event is over. With pay per view content you can charge users to access pre-recorded content long after your initial broadcast. This means that you can generate income 24/7, even when you and your employees are sleeping! Advertising: If you view any video content on YouTube you are likely very familiar with advertisements. While these ads are how YouTube generates revenue, with your own IPTV network you also can generate income through advertising if you would like. TikiLIVE offers full control over your advertisements to ensure that you are able to monetize your content however you see fit. A company’s reach used to be confined to a small geographic area. Today, your company’s reach is virtually limitless. IPTV allows you to reach your customers or clients, regardless of location. Whether your clients are in the next town or on the other side of the world, with streaming content they are always within reach. Gone are the days where you were limited by a small number of customers. In fact, today it is more about ensuring that you are reaching your target audience as opposed to promoting your content to potential customers that may not be interested in what you have to offer. Need More Information About Creating Your Own IPTV Network? Then contact our team today! We can walk you through the process, further explain the benefits and help you get started.